Sorry for the lack of posts this month. Since WoW: Legion launched I've been at my Brothers focused on levelling both his toons and my own to 110. After the burst I am sick of playing it and need to get back into usual patterns. It's been weeks since I have attended Life Drawing Hamilton but plan on attending this Friday - so expect another post this weekend with life drawings. I found out through ccanz that Authors Alliance was coming to Hamilton and I attended the talks. 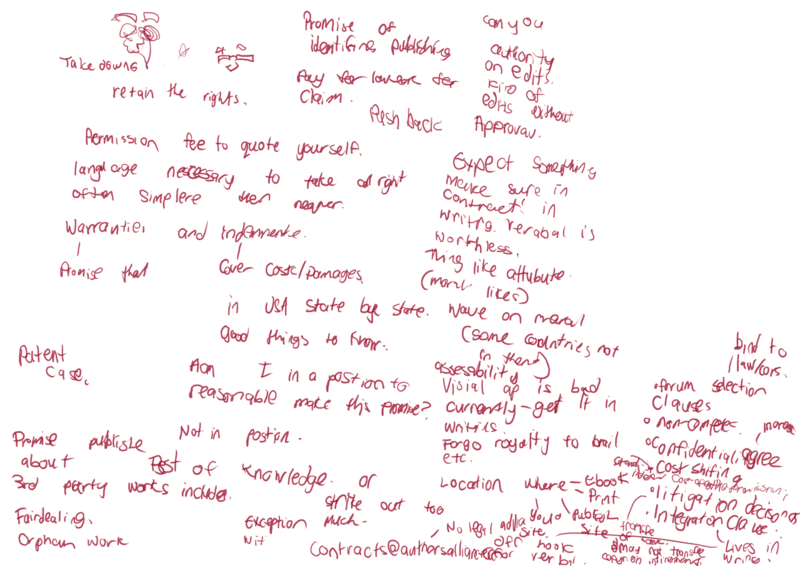 Here are the notes that I took during the session. Start of the session. I made it to the session just in time. Michael Wolfe the Executive Director of Authors Alliance introduced himself and his organisation and the topics that would be talked about during the workshop. 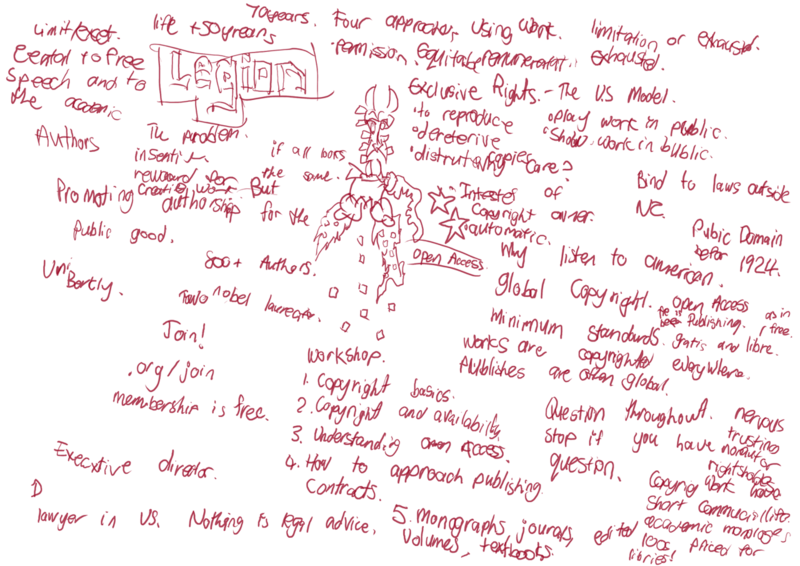 Wolfe talked about Creative Commons and the licences. Majority of this material I knew but it's always great and informative to get a fresh perspective on the licences. Gratis vs Libre was interesting as well. 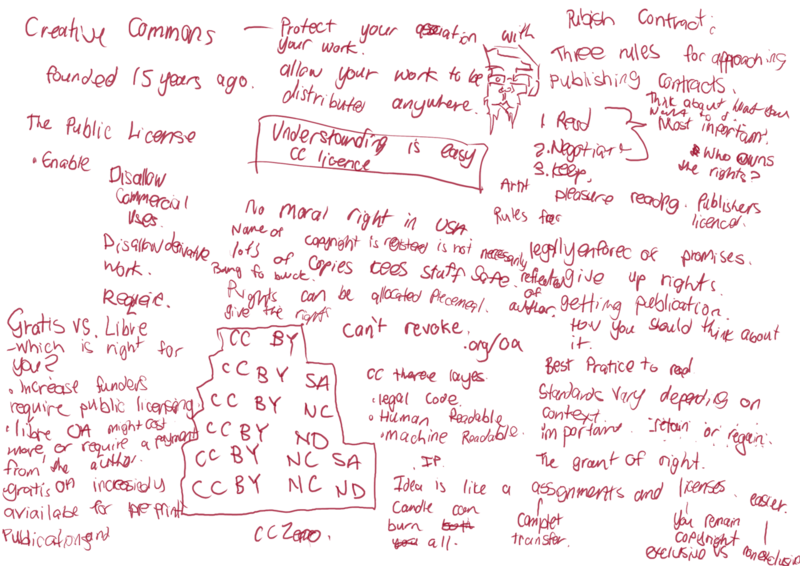 I had to bring up the CC Zero licence (it's something that CC seem to keep quite hidden also). I forgot to mention CC Public Domain which is a licence you can attach to let people know that the content is in the public domain. Moving on from CC into contracts which is something I have zero experience with - so great learning for me. I ran out of power part way during the workshop and the other was charging at my Brothers so this was the last of the notes from the workshop. 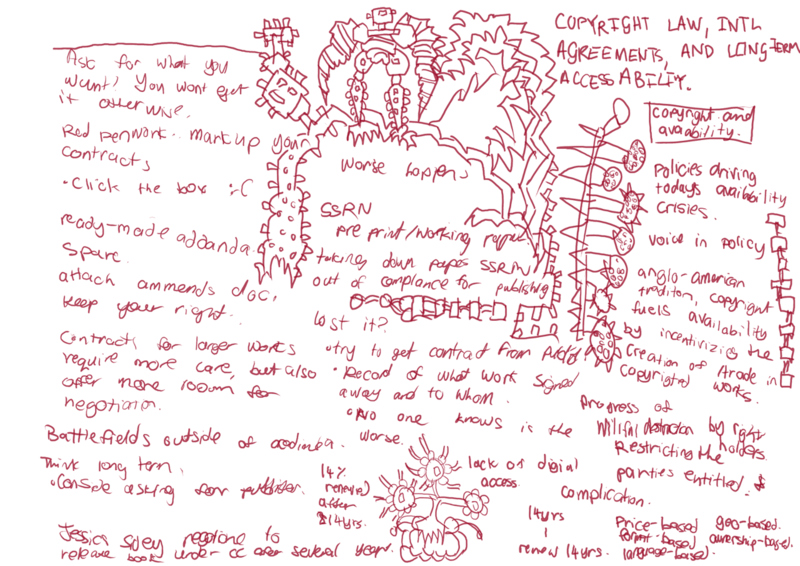 I really like the idea of the requirement of renewing copyright. This allows works to fall into Public Domain early unless the Copyright holder really wants to extend it. 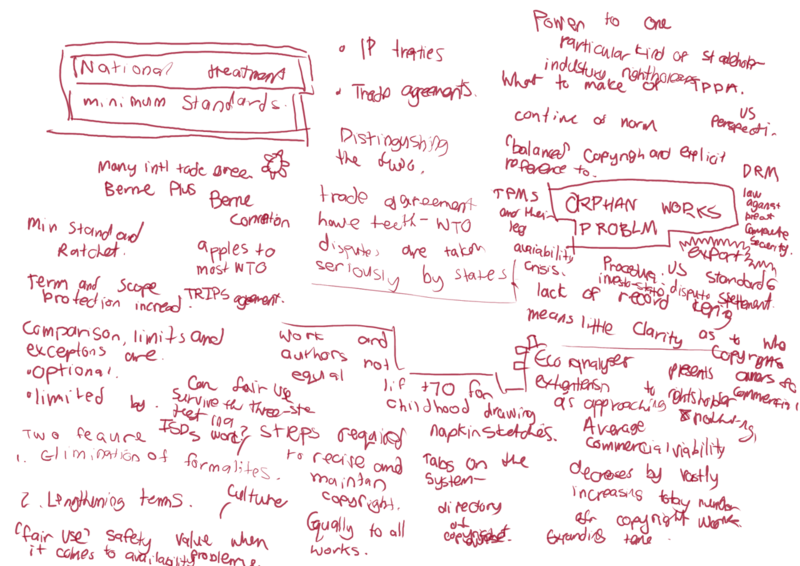 TPP notes. Interesting but some of it made me sad - especially of exporting of bad American laws such as DRM and extending copyright to life + 70 years. Would love to see Fair Use introduced here in New Zealand. 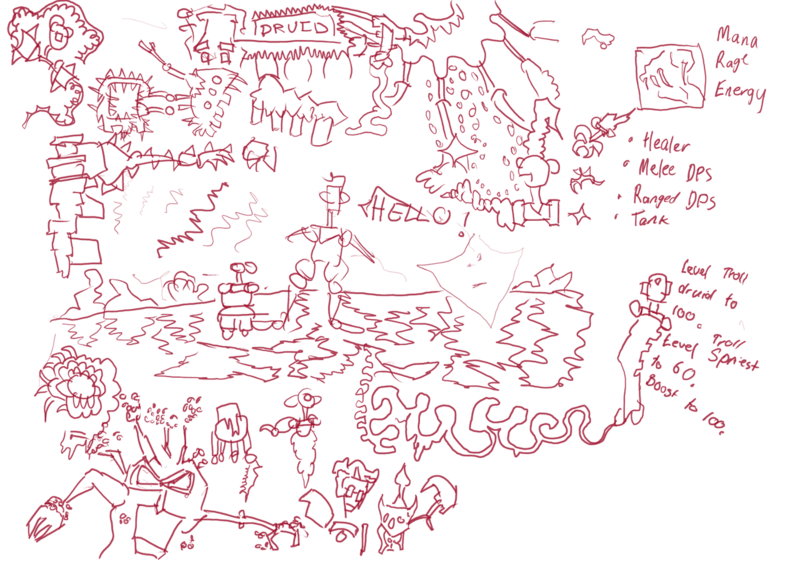 Drawing I did at Brothers - mostly WoW related references. After the TPP talk I attend Hamilton Python User Group. 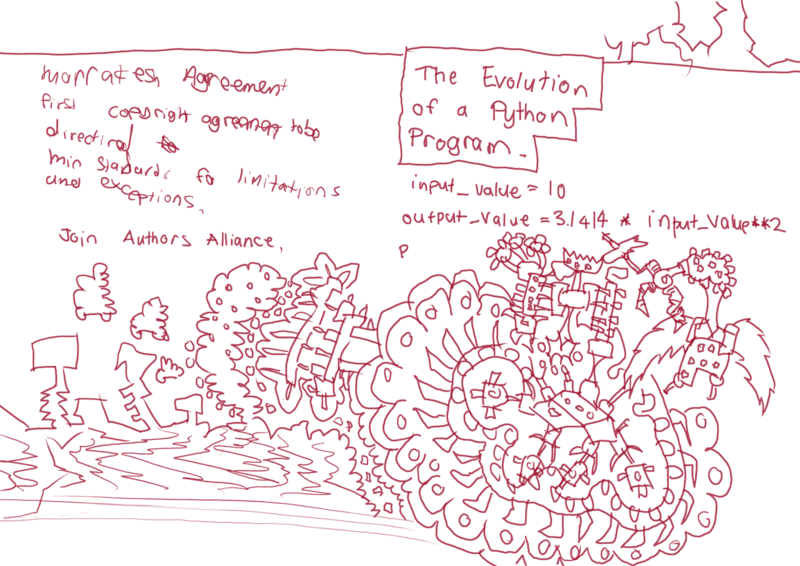 Ian spoke about the Evolution of a Python Program, followed by Lawrances introduction to Python. 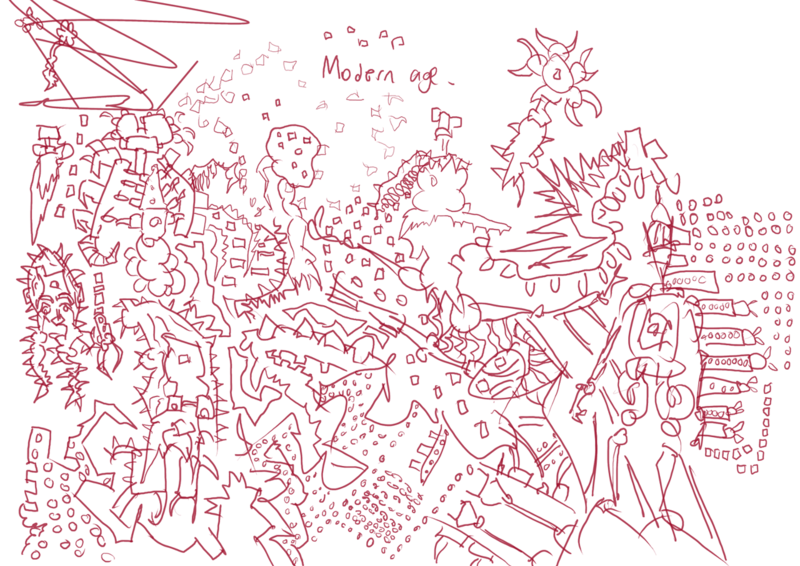 I ended up drawing mostly. Another sketch completed at Brothers. I've now joined Authors Alliance and volunteered (in much the same way I do for ccanz). You should join also! Expect to see more posts in the future mentioning them.